From the beginning, Louisville was different. Unlike most coal camps, Louisville miners lived and worked right in town. These original citizens were tough, resourceful people who relied on each other to survive. Their legacy of community and creativity is an ongoing source of inspiration to those of us who live in, work in, and visit this truly unique place. 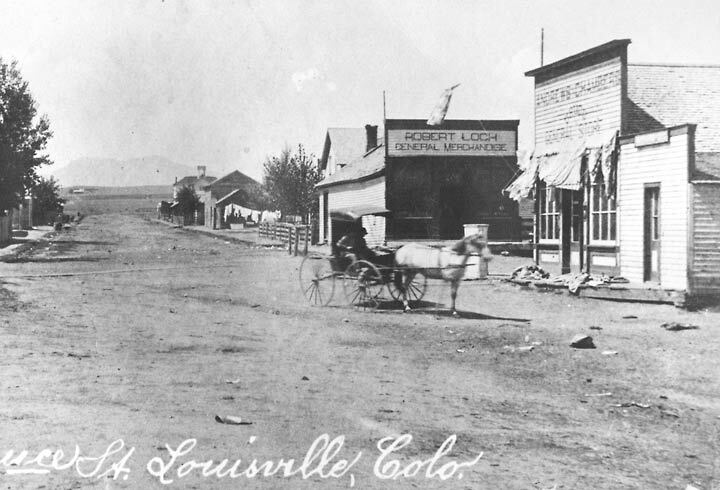 This is the oldest known photo of Louisville. In this beautiful image you are looking west on Spruce Steet from Main Street and can see the Flatirons in the hazy distance. This photo provides an amazing feel of how wide open the spaces were between the new cities on the front range. Excellent football is apparently a Louisville tradition. 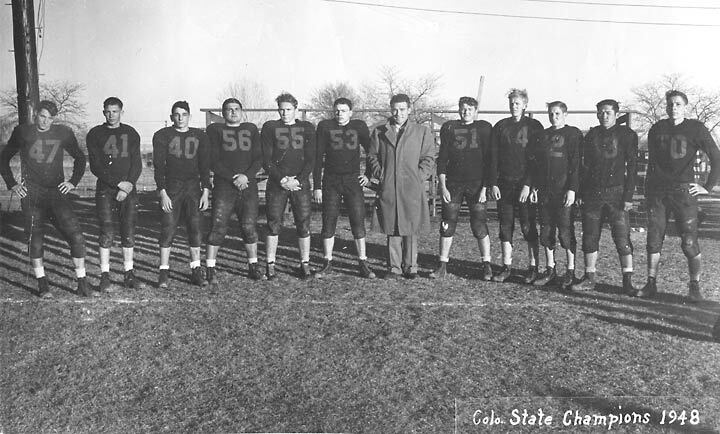 This photo of the starting eleven for the state champion 1948 Louisville High School team includes iconic Louisville family names like Steinbaugh, Deborski, and Buffo. Monarch High School, opened in 2002, has produced two state champions to date. 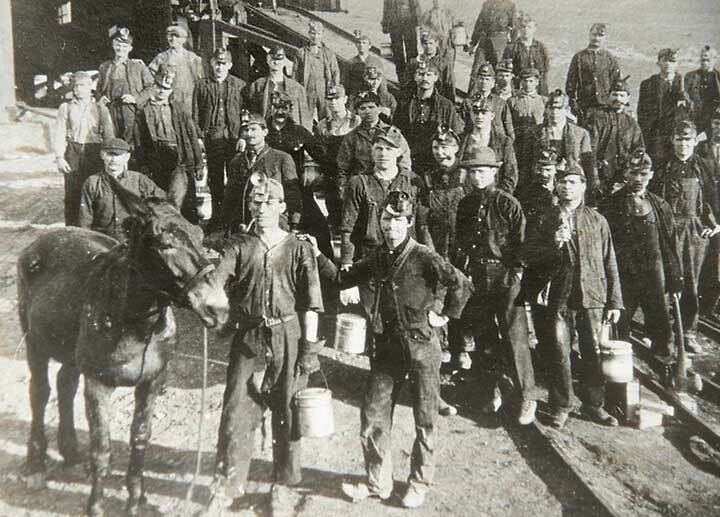 Workers, both two and four footed, pose for a photo at the Gorham Mine circa 1910. Note the pails carried by many of the men. In addition to food, these lunch buckets carried drinking water for the day. After work, some miners would stop into a saloon to have their water tin filled with beer. 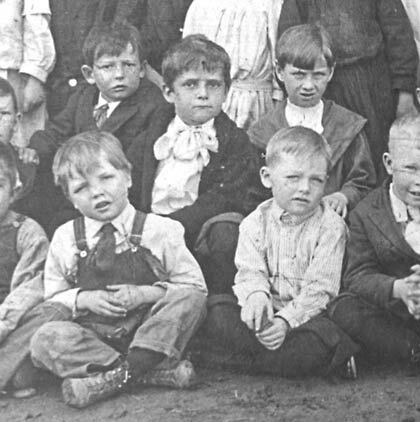 Meet three of the boys from Ms. Brown’s second grade class, circa 1908. We were taken by the composition, energy and diverse attire of these young men. Louisville has a history of being a work hard, play hard kind of place. This photo celebrates the entrepreneurial spirit that is still a huge part of our vibrant community. 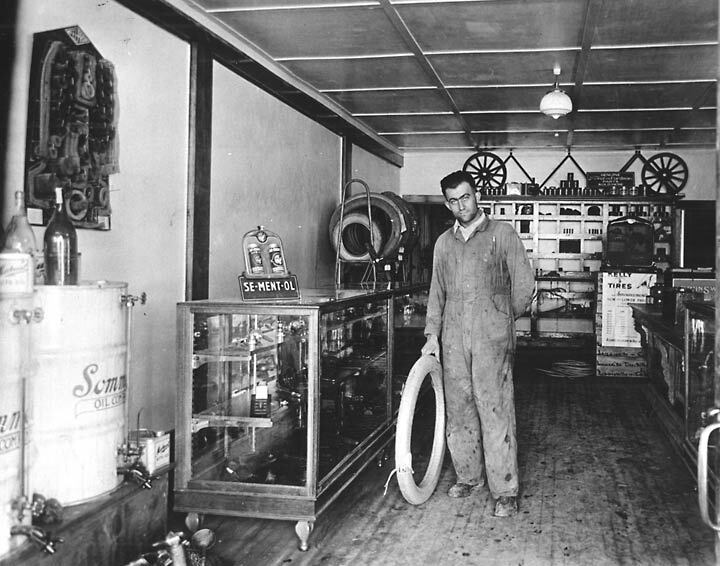 This wonderful image features Rome Parrella, circa 1925, in his Main Street business, the Parrella Motor Company. 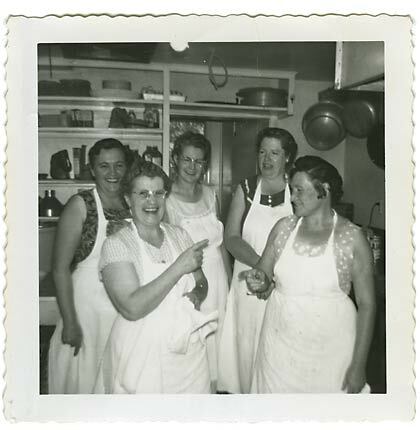 What a great photo of cooks and wait staff having a laugh in the Blue Parrot kitchen in 1958. L to R: Mena Tesone, Susie DiGiacomo, Louise Deborski, Katherine Stangier and Nellie Inama. What is not to love about this circa 1915 photo of a stylish young lady on her bicycle? You are looking east on Pine Street. The historic building that currently houses the Huckleberry Restaurant is visible on the corner. Coal mining is Louisville’s heritage. Nothing else is close. 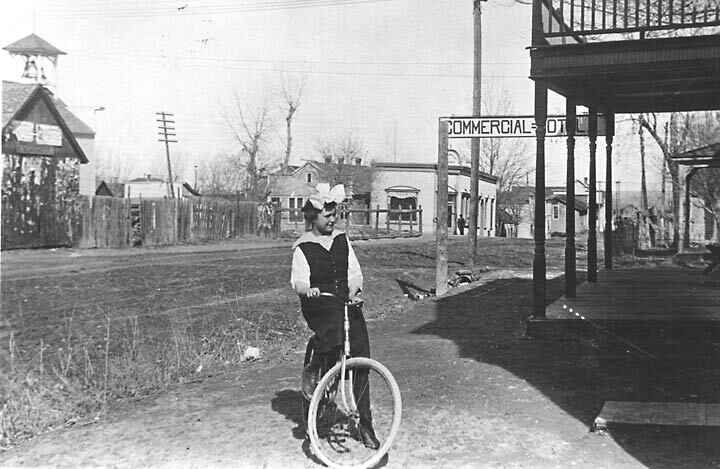 We believe this image was taken in front of the Acme Mine, circa 1915. 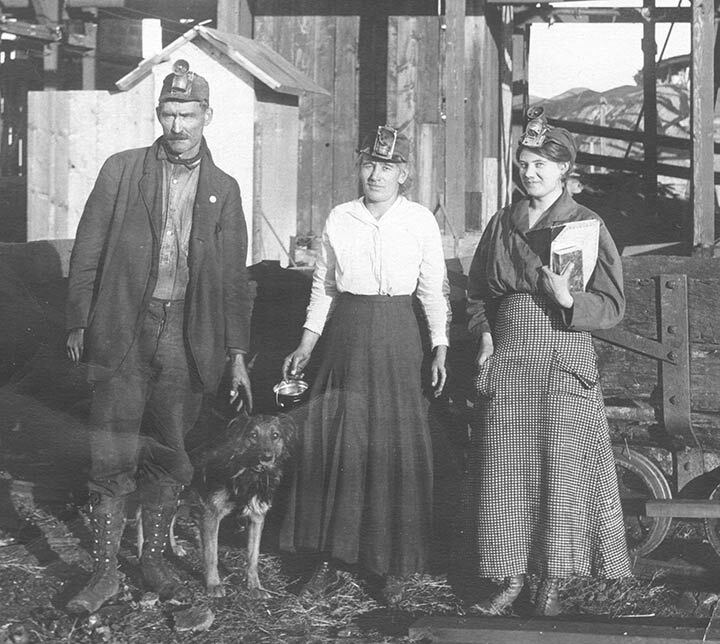 This is a rare photo in that it includes women wearing miner’s caps. Strong women, a working man, and man’s best friend—this pic has it all. 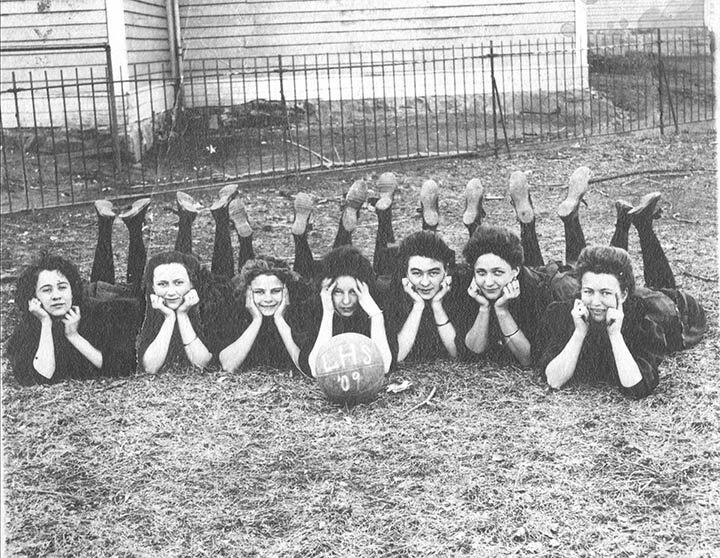 What a fantastic photo of the 1909 Louisville High School girls basketball team striking a pose. No record exists of their wins and losses, but something tells me these ladies could hoop it up.